NephSystem Technologies' Personnel & Object Real Time Tracking|Monitoring as well as Access Contro lsystem is a total solution that is able to provide precise locating info to track personnel (or any other assets) in real time. 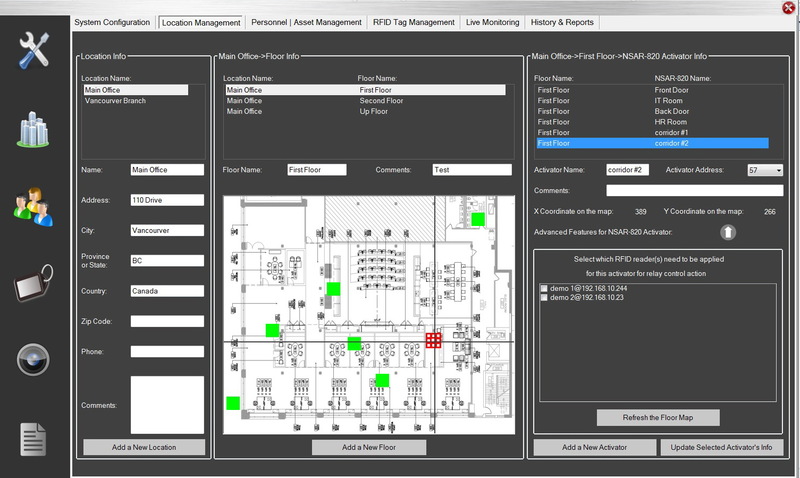 It is used to automatically identify and track the location of objects or people in real time, usually within a building or other contained area. Wireless RTLS tags are attached to objects or worn by people. 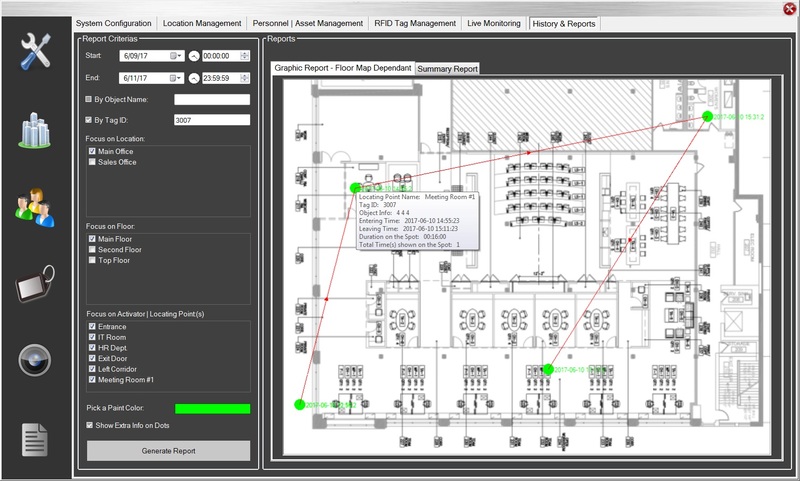 This real-time locating systems is being widely used in through an assembly line, locating pallets of merchandise in a warehouse, or finding medical equipment in a hospital, or infants monitoring, etc. 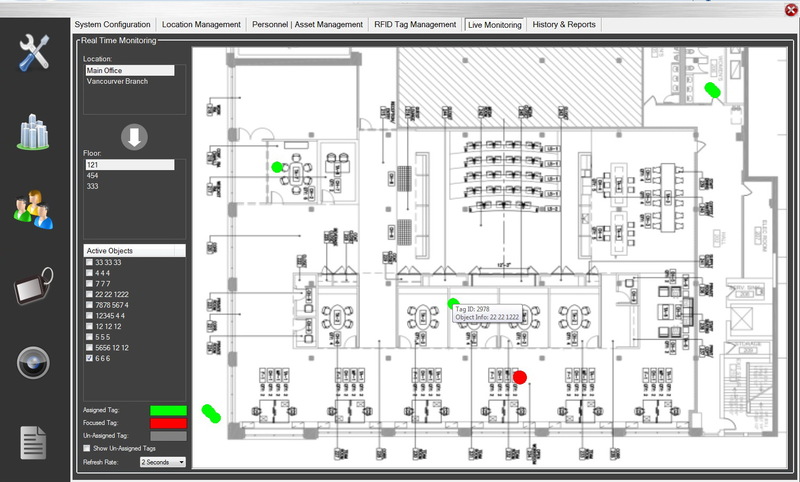 NephSystem's Personnel & Object Tracking&Monitoring system uses RTLS (Real Time Locating System) technology to provide highly accurate and precise locating info for any personnel or important assets that need to be monitored in real time. By adjusting the activation range of NSAR820, the locating data could be improved up to 0.2 meters, it is ideally suitable for tracking of personnel or people or any other equipment, assets, etc. in complex indoor facilities and their outdoor periphery. The system comes with lightweight battery assistant active tags that can be easily carried by personnel or assets. Tags may periodically transmit regular signals (their unique IDs) to remote NSAR active readers that are mounted in the zone. When tags are approaching to any NSAR-820 activators, tags will transmit their unique IDs along with the NSAR-820 activator's address ID together over to NephSystem’s NSAR active RFID reader to provide the tag's precise location. The NephSystem Middleware software which is deployed on a server collects all data sent from active readers in real time via local network. Analyze the data then show the real time mapping or moving curves of objects on screen. User friendly GUI with animation. 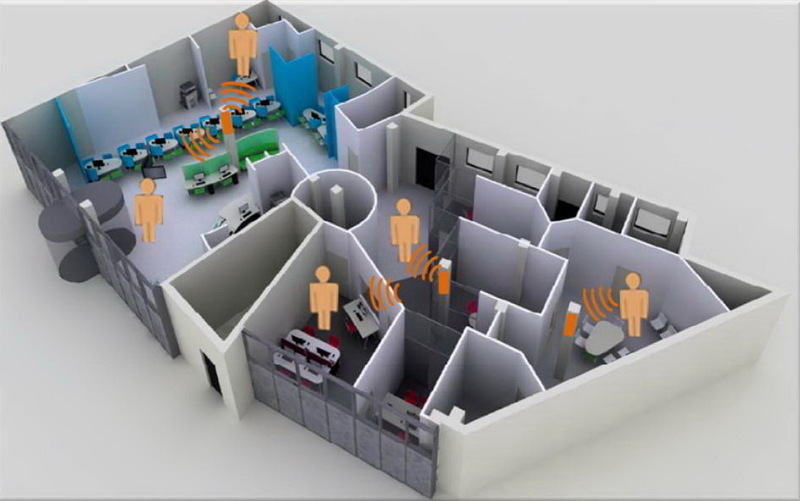 Detects and quantifies people / object in real time inside a building or a controlled area. Combined with Door Access Control capability all together allowing typical access control capability. 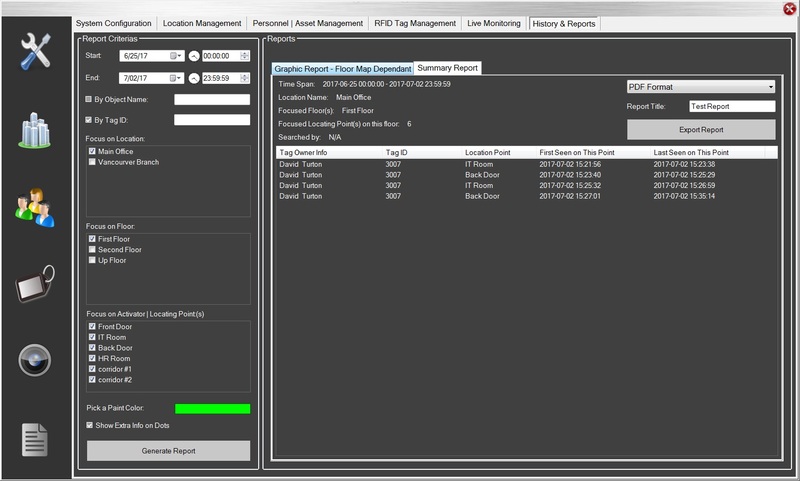 Provides historical trails as well as raw data info between given times, points, Tag ID, etc. Be able to know the object’s total staying times in any controlled area. Real-time location monitoring with user definable fresh rate and colors. Captures/Zoom in/Zoom out an image at the time of people / object movement. Extensive detailed reports including PDF or Microsoft Excel formats. 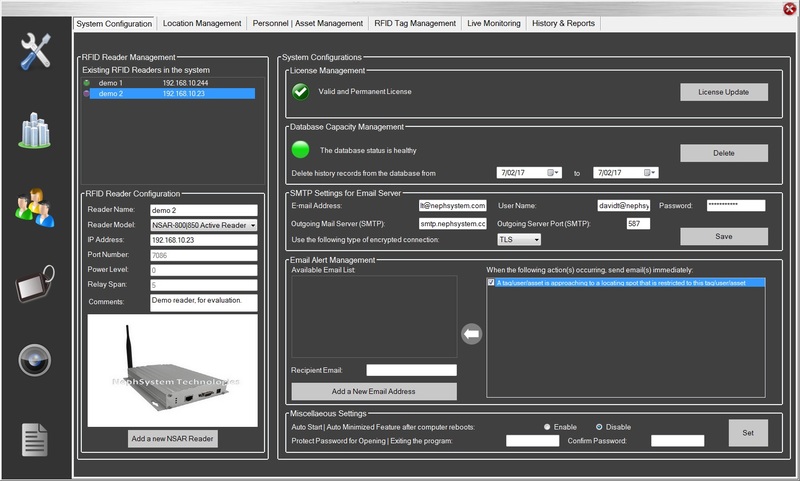 Be able to send Email alerts to pre-defined Email receiver(s) for any events that people / objects are going to approach restricted area/spots.